In recent years, there has been a backlash against payday loan providers. These types of loans fall in the category of small dollar loans. You can get between $200 and $2,000 (and sometimes more) from payday lenders without too much trouble. However, you pay in other ways. The interest rate can be quite high, once you figure it out in relation to the fees. I know first-hand that payday loans can be a problem; I actually got a payday loan once. I didn’t get caught in the cycle that many others find themselves trapped in, but I did get an idea of devastating regular payday loans can be. The problem is that many of those who turn to payday loans find themselves without many options. Other financial services that are available to the so-called “unbanked” are also expensive. Try cashing a check at a check-cashing place (even if you aren’t getting a loan) or getting bill pay services when you don’t have a bank account. It’s expensive to be poor and unbanked, and there are plenty of services that make money this way. Senator Elizabeth Warren wants to change all that — and use the United States Postal Service to do it. The local post office is a trusted place for doing business, and Warren thinks that it would be an ideal place to provide basic banking services to the country’s 68 million unbanked for much lower rates than they are paying right now. They can get small money loans — akin to payday loans — at lower interest rates, and cash their pay checks and pay their bills for less than other services charge. One of the things I found funniest about Terry Pratchett’s satire Making Money was that it points out that banks are places where people who can prove they don’t need to borrow the money can borrow money. Additionally, for those who most need low-cost services, banks often don’t provide. They offer bank accounts that come with fees, or even deny applications for accounts outright. Consumers are then forced into using expensive services that can, Warren claims, eat up to 10 percent of income. That 10 percent of income is better saved, or spent on things like food. With the post office providing a less expensive alternative, the unbanked could save money on their services, and perhaps even get ahead. On top of that, the USPS would be bringing in new revenue. This is important because there has been much hand-wringing in recent years over what to do about the USPS, which isn’t doing too well in terms of budget. This could be a solution to two different problems facing the United States and its consumers. 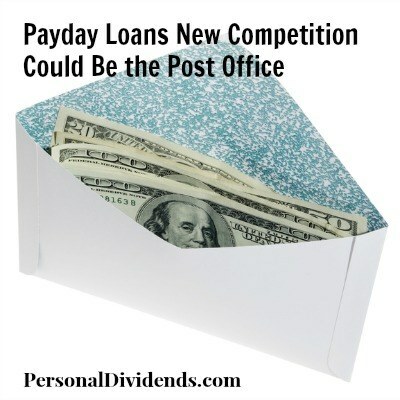 I like the idea of offering competition to payday lenders and to check cashing places. It might force better competition by offering a reliable alternative to those who might feel as though they have little choice. A greater range of financial options is a good thing for most consumers, especially those who might not have the means and education — and bank accounts — that many of us take for granted.